Earlier this week, I was on a walk with my dog through a nearby park which is also part of a school playground. It was the afternoon, and the kids were playing outside as part of their after-school program. I immediately noticed a small group of children and their teacher doing yoga poses. It did not appear to be an organized activity, but something that organically happened as a result of their interest in the young woman who clearly practiced yoga. 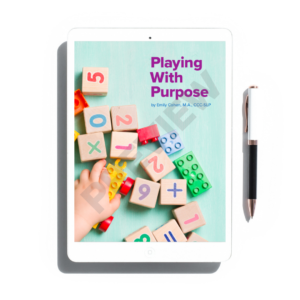 This reminded me that children like to emulate the things and activities adults engage in, and those activities can be moments of authentic learning and connection–Playing With Purpose. Yoga is more than exercise, it’s also a therapeutic tool, sometimes referred to as “yoga-peutics,” It’s become a popular activity to do with children. I began to explore ways to combine yoga with my work as a pediatric speech-language pathologist. 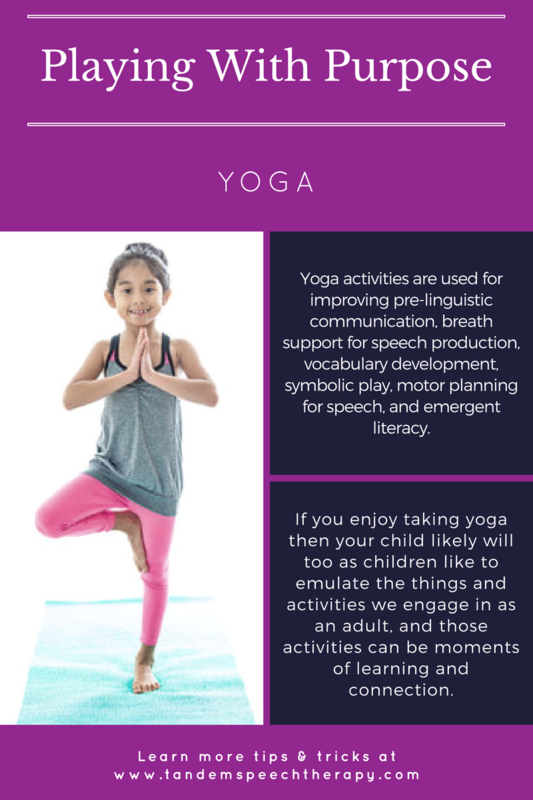 There are many well-known motor and health benefits of yoga activities for kids, so I considered enhance a child’s speech and language skills. For starters, yoga and body-based activities can be used to teach pre-linguistic communication, breath support for speech production, vocabulary development, symbolic play, motor planning for speech, and emergent literacy. 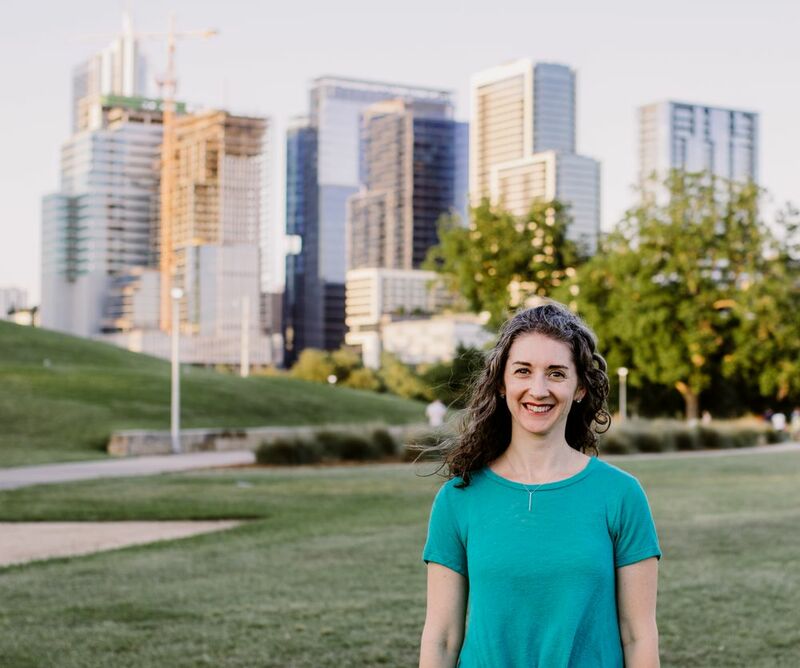 While some of the resources I share here carry a small cost, you can also do yoga speech therapy for free in your home. I recommend doing an image search for “children’s yoga poses” Use the images to create a collection of yoga pose cards to use with your child. Be sure to include the name of the pose as you make these cards so that you can align with my tips and post-specific activities. 2. Match objects to yoga movements. Many yoga poses, particularly those used with children, are named after real objects. Some of them include tree, cat, cow, dog, baby, boat, triangle, and pretzel. Find photographs of the object or the object itself and have the child label or name each one verbally. Next, say something such as, “Let’s pretend to be a tree.” Demonstrate the pose and help the child get into it. Remember to repeat the name of the pose/object as you do it, inviting your child to repeat the names with you. This will provide the child many opportunities to hear, say, and remember the name of that object. 3. Hold a yoga pose while practicing speech sounds. Again, when kids are engaged in a motor activity while simultaneously practicing a new skill, more areas of the brain are activated. This leads to a higher chance of retaining the skills. Get yoga cards out and have your child choose a pose to try. After helping the child get into the pose, ask them to produce their target sound or words that include the target sound as many times as they can. The child will choose a new pose and practice another word, phrase, or sentence while holding the posture. Notice: Is your child producing more repetitions during this active speech sound practice than times you’ve sat at the table? 4. Address listening skills or following directions with a child. Spend some time learning the poses or exposing the child to new postures before you advance to the following directions activity. Begin with one pose, especially if the child is struggling with one-step directions, and work your way up to a sequence of 2-3 poses. I suggest using pictures as a visual support when getting started. As the child’s skills improve, you can hide the images, so they use their auditory memory to help follow the directions. 5. Practice breath work. Breath work is an integral component of yoga and breath support is incredibly important for speech. You can use yoga breath work to build breath support, which allows us to sustain speech for full sentences at a time, and bring attention to belly breathing. I like using “balloon breath” for kids ages 3-6. Que the child to breathe in and out through their nose while their hands hold an imaginary balloon. They can pretend the balloon is getting larger every time they breathe out. For kids a bit older, ages 7-11, teach them about “rising and falling breath.” Have the child lay on their back with their hands resting on their stomach and begin to pay attention to their breath. Instruct the child to let their breath rise up through their rib cage and out to their sides. Then slowly exhale and push the air out, filling up their belly. Breathing deeply and consciously also helps strengthen the nervous system, reduce anxiety, calm the body, and be present in the moment. Have you used yoga with your children or in your speech therapy practice? Share with us below in the comments!